Following on with our festival theme this month, we decided that our travel app of the month should be Festival from whichfestival.com. This clever app collates the festival information you’d find on the likes of Lonely Planted, Whats on When, Joobli, 2camels and Festival Pig – to give you the lowdown on all the festivals (from cheese rolling to rock ‘n’ roll) around the world. 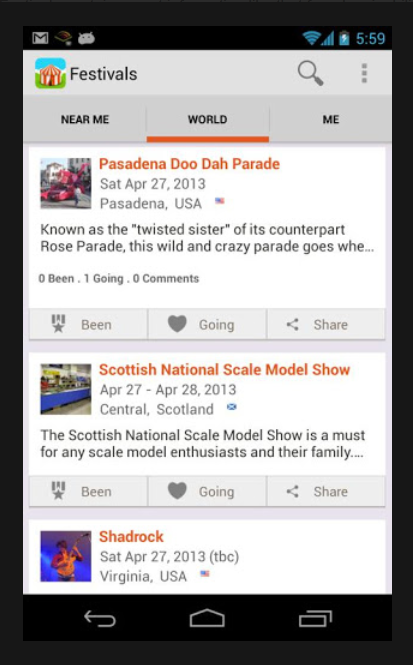 What does the Festival app do? The list also includes carnivals and special celebrations and appears to cover THE ENTIRE WORLD, which means you could probably use it as a journey planner too! You can search for events near you for a chronological list of what’s happening where and when, by date or by place if you are planning to go travelling. What does the app do that the website can’t? Well, you can search by keyword (great if you have a vague idea of the type of festival you are looking for but can’t remember where or when it is meant to be happening, um, or what it is called). You can also tag that you are going or have been and you can share the festival information too – a great way to rally up a group of like minded people to go with. The app includes a map so you can see what is nearest wherever you are! 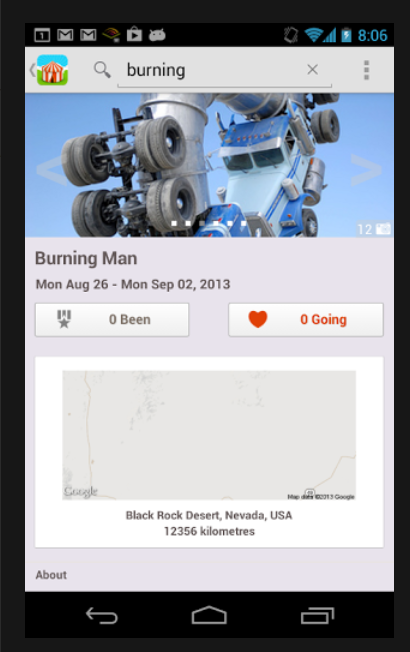 The app hasn’t had much feedback in reviews probably because it hasn’t been around for long. 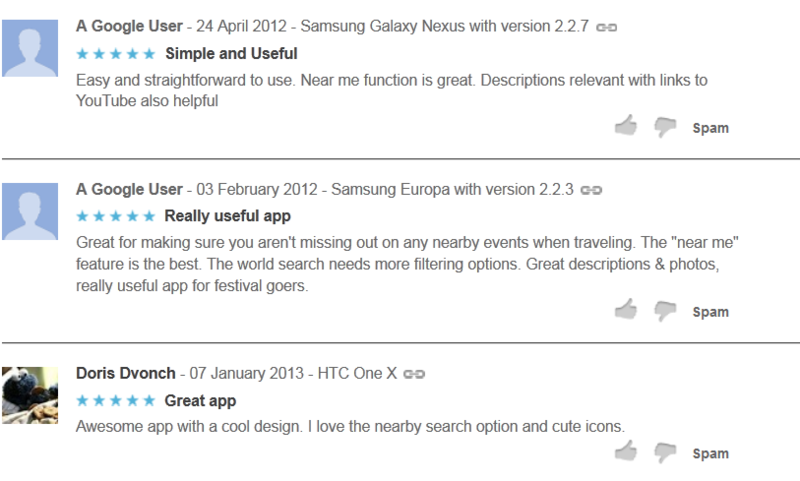 Android users rate it 4.5 out of 5 but Apple users have not given enough feedback to give the app a rating. This entry was posted in travel apps on June 27, 2013 by worldwideinsure.